What is the European Public Sector Award (EPSA)? 07/Oct/2014 - From budgeting practices to examining financial accounting practices and EPSAS: The CEFG Group on its way to the harmonisation of public sector finances. 15/Sep/2014 - Smart Public Procurement Lab, Vienna, 15th October 2014, organised by the EPSA 2011 Award Winner "ÖkoKauf Wien". 11/Jun/2014 - Seminar in Finnish Lapland on 23 and 24 of June 2014 to develop European cooperation in the area of wellbeing and civil safety. 11/Jun/2014 - Kick-off meeting of the high-level European 'City Economic and Financial Governance Group – A leap towards transparency, accountability and sustainability of public finances’. Maastricht, 26-27 June 2014. 07/Jan/2014 - "Powering European Public Sector Innovation: Towards a New Architecture", Report of the Expert Group on Public Sector Innovation, published by DG Research and Innovation, European Commission. 07/Jan/2014 - Public Sector Innovation and Management Publications. Three new publications present the rich harvest of three EPSA editions in the academic spotlight. 27/Sep/2013 - 16 EPSA 2009 and EPSA 2011 cases analysed in the recent publication "Public Management in the 21st Century"
12/Mar/2013 - EPSA Knowledge Transfer during the 1st Meeting of the Associate Group of the Observatory of Public Sector Innovation, Paris, 18 March 2013, OECD Conference Centre. 01/Feb/2013 - The EPSA 2013 Newsletter No. 2, January 2013 is out! 09/Jan/2013 - Iñaki Azkuna, Mayor of Bilbao, Spain, has been awarded the 2012 World Mayor Prize. 27/Nov/2012 - News The EPSA excellence scheme continues to raise awareness beyond Europe's borders. 16/Oct/2012 - News United Nations Public Service Awards - UNPSA 2013: Call for Nominations from 24 September to 7 December 2012. 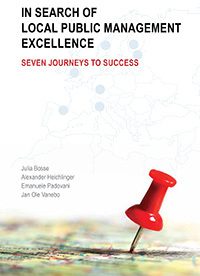 This book aims to demonstrate that various creative and smart routes to excellent solutions are possible, by analysing success stories in different areas of local public management from seven European cities in the EPSA scheme – Bilbao (ES), Birmingham (UK), Mannheim (DE), Milan (IT), Tallinn (EE), Tampere (FI), and Trondheim (NO). It concludes by presenting seven steps leading to excellence. The only thing left to find out is: are other cities ready to take on the challenge? What kind of ideas are behind the remodelling of the state and public sector, and how have these ideas materialized in practice? 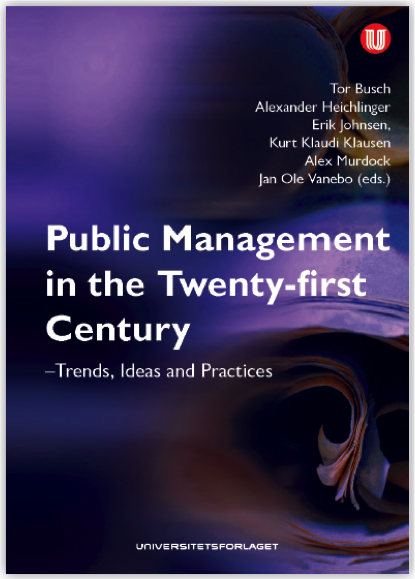 In this book the authors illustrate what are the driving forces behind the huge amount of public management reforms over the last three decades. Trends and ideas of public management reforms in practice are validated by data from European Public Sector Award cases (2009 and 2011). The EPSA brings together the best, most innovative and efficient performers from the European public sector. Outstanding administrative performances are, after all, produced under different conditions within Europe.